When it comes to its original shows, Netflix has been like Oprah handing out new cars – you get another season and you get another season and, in fact, you all get another season. With their success measured in subscription rates rather than ad revenue or viewing figures, it has been in Netflix’s best interest to counter the often turbulent life cycles of broadcast TV shows (looking at you, Fox) where anything can be canceled at any moment. Contrary to that customer-annoying business model, Netflix has assured its users that any shows slapped with the Netflix Original label are guaranteed a second season renewal. Even those shows no one seemed to like or talk about – Marco Polo, Lillyhammer, Hemlock Grove – at least got two full seasons. At Netflix, failure is clearly not an option. Well, that all changed yesterday. At the rate that Netflix is adding original programming, this “everything gets renewed” model simply couldn’t last. There was always eventually going to be a show whose exorbitant costs, low cultural impact or both forced Netflix’s hand. Enter Baz Luhrmann’s The Get Down. Over the two-and-a-half years since the hip-hop-focused project was set up at Netflix, Luhrmann went through two showrunners, numerous writers, and no small amount of strain with producer Sony Pictures Television. Production of the 12-episode season, the first half of which premieres Aug. 12, went well over the original budget of about $7.5 million per episode and wound up costing at least $120 million overall, with New York state tax incentives factored in, according to sources. That makes “The Get Down,” Luhrmann’s first TV series, among the most expensive in history. It’s a huge bet even for Netflix, which has disrupted Hollywood with a seemingly limitless budget for original programming. He was going to be the dad who helps create the baby (i.e., co-create the characters and storylines), sticks around long enough to be there in the operating room during the birth (i.e., direct the pilot) but then walks away to let someone else raise the child into adolescence (i.e., hand the keys over to an actual seasoned TV showrunner, The Shield‘s Shawn Ryan). That’s what every good executive producer does, right? After all, given Luhrmann’s long history of budget-stretching perfectionism (e.g., Australia) and troubled productions with delayed release dates (e.g., The Great Gatsby) no one in their right mind would entrust an entire TV show to him without installing someone around him to help keep things from spiraling out of control, right? 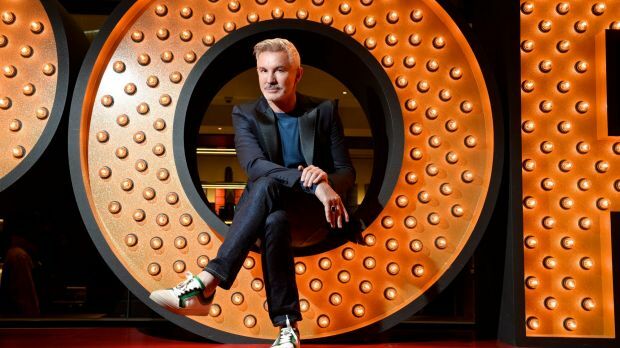 But Netflix didn’t want a TV show from someone else; they wanted a Baz Luhrmann show. Sony Pictures Television, the production house responsible for Get Down, tried to install a second showrunner to ensure a smooth production, but Netflix flatly refused, with Ted Sarandos going as far as to withhold the full season greenlight until Luhrmann would commit to shepherding the show from beginning to end. Win, lose or draw, Netflix wanted The Get Down to be Luhrmann’s complete vision, setting the stage for a hard lesson – sometimes unchecked freedom is actually the worst thing you can give a creative. Sometimes directors need to be reigned in, and studios or producers have to step in to solve problems. Shawn Ryan was supposed to be the person to act as the check on Luhrmann. He quit during pre-production when Luhrmann insisted on moving the production to New York City. Ryan’s replacement, Thomas Kelly, quit several months into filming, finding his grittier style to be incompatible with Lurhmann’s operatic leanings. Thus, Luhrmann and his wife, Oscar-winning costume/production designer Catherine Martin, were left as the unofficial showrunners, and they reportedly ignored any advice from season veterans with actual TV production experience, instead opting to run the show like they would a movie. This proved to be untenable enough that Lurhmann considered quitting, but opted to stick with it out of loyalty to all those he’d brought into the production. Netflix split the season in half, the first and only time it’s done that, dropping the first six episodes in August of last year and the remaining five last month meaning that in the end The Get Down only managed to complete 11 episodes, two short of its original 13-episode order. The first 6 episodes were surprisingly well-reviewed, with the consensus being that if you could get past the self-indulgent, overly messy Luhrmann-directed 90-minute pilot the show possessed many engaging qualities and breakout performers. The reviews were certainly better than other Netflix shows to improbably receive a second season, like Marco Polo. Since the season was split in half, some might be under the impression that The Get Down did indeed receive two seasons, but that’s not actually true. Netflix had finally reached a point where the costs of making something simply hadn’t been worth it, and chances for a second season dimmed when Lurhmann indicated he wanted to take a step back into the more hands-off role he wanted to have in the first place. So, Netflix canceled The Get Down yesterday, officially putting an end to the honeymoon period we had enjoyed where any Netflix Original was worth your time because it would definitely be coming back. Of course, very few of Netflix’s other Originals cost anywhere near as much as The Get Down. So, this might be an exception, but it sets a precedent at Netflix which has been set elsewhere in Hollywood for decades – sometimes renewal is not an option. That’s Trevor Nelson, the English radio DJ, not Nelson George. This is some Sam Jackson/Larry Fishburne ish. I meant no offense. That was simply the caption which came with the photo. I’ve fixed the error. 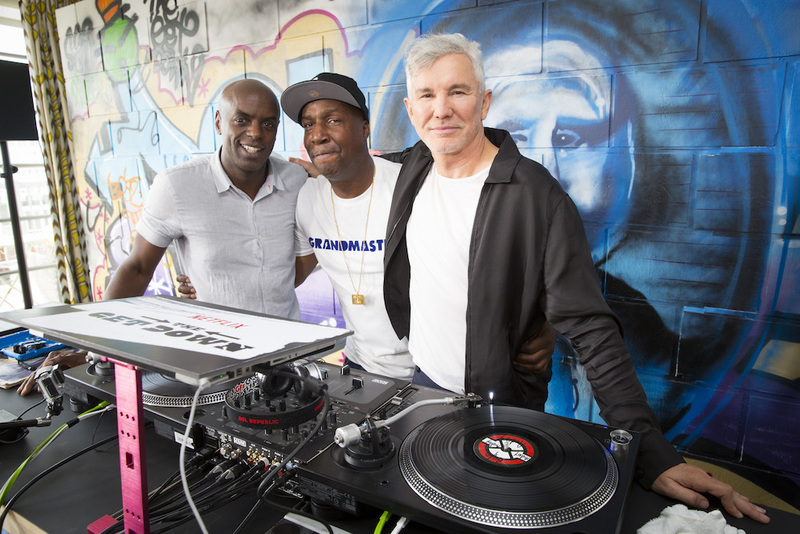 The confusion was likely that both Nelson George and Trevor Nelson served as EPs on The Get Down and were present for that photoshoot, but in that particular photo it’s Trevor Nelson and not Nelson George. Honestly, to me it doesn’t matter if a show gets a second season or not…what matters to me is that a show ends properly. Like, if they had cancelled Agent Carter after the first season, I would have been very sad, but hey, I would have gotten a perfectly fine mini-series. But they did a second season, did a lot of set-up and I never got the pay off because the set up was far a season which never happened (honestly, ABC and Marvel owe the fans at least a TV movie to wrap the whole thing up….). When I see a Netflix show which looks interesting, I don’t really care about the number of seasons, the first thing I try to figure out is if it ends up at a proper ending point. Netflix has started to do the “leave every season on a cliffhanger” thing and I am HATING it. It kind of ruins the idea that every show is basically a 8/10/13 hour movie, because if there is no conclusion, than it it’s not a movie anymore, it is just another of those network shows which string the audience along. In the larger view of things, you are right. A show’s worth shouldn’t be measured in the number of seasons it receives but in its ability to tell a complete story in however long that takes, and the Netflix Originals are a mixed bag in that regard, an odd hodge podge of experimental “one long movie cut up into small installments” (like The OA) and largely traditional sitcoms or dramas that do little to nothing to take advantage of the formal freedoms of being a Netflix show. Some shows look at Netflix as a new venue where they can experiment with traditional forms of television or movies, others look at it as just another network which will air your show. As such, it matters that all of their shows get second seasons because most of their shows are so comparable to broadcast or cable counterpartes, and that dictates how we think of them. Actually, at this point I feel like I’m rambling and kind of gotten away from the point. Eh. Let me just say I mostly agree with you, but I think from a marketing standpoint we shouldn’t underestimate the appeal of Netflix as the home of automatic second season renewal after decades upon decades of broadcast networks treating their customers rather rudely in that regard. Point taken. Though I do think that the second season promise isn’t really worth that much. Especially if a second season still means less content than an average Network show has in one season. I was going to watch the show but after learning it was Baz Luhrman I decided not to get attached. The Tumblr people were hyping he hell out of it. It was always on my dash, and now what’s on my dash is them being mad as hell. I don’t think they understand how many problems this show had, or how Luhrman works. That man makes hella expensive projects and I had wondered how long the show would last once I took that into consideration, and so I opted not to get attached to any of it. To be honest, I still haven’t made it past the pilot. I’m only halfway through. It’s just so…so…Luhrmann. Sometimes that’s a good thing. In this case, it’s a very, very bad thing. He just can’t seem to get out of the show’s damn away. But if you looked at The Get Down and saw Grandmaster Flash’s attachment and the promise of telling a trutly worthy story in an engaging and authentic way I could see being over the moon on this show. If you looked at it and saw Luhrmann’s name attached and truly understood what a mixed bag that was and how there were warning signs throughout his career indicating he wouldn’t be able to deliver this kind of show on budget, on time or in any form which could last very long then you were prescient in your reluctance. Between those two options, you were clearly ahead of the curve.